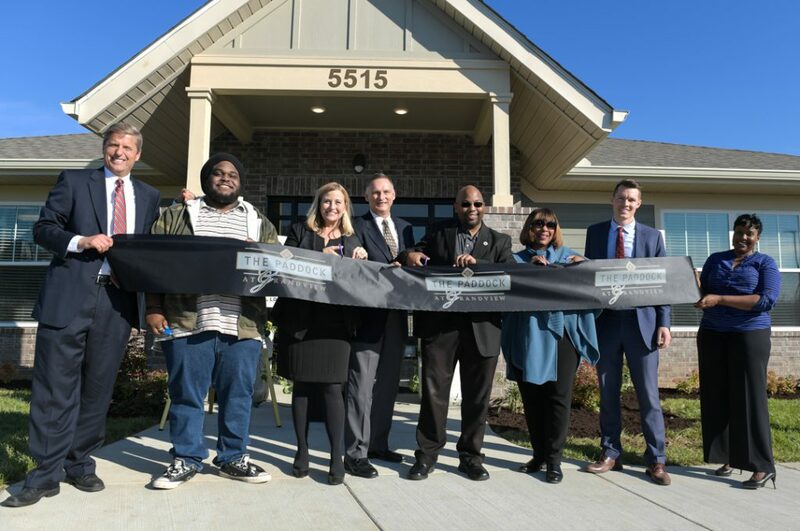 Mayor Megan Barry and other city officials joined representatives from MDHA and LDG Development on Nov. 14, 2017 to celebrate the opening of The Paddock at Grandview – the area’s newest affordable housing community that is located within minutes of downtown Nashville. Construction on this 240-unit development began in June 2016 and the property welcomed its first wave of residents in September. 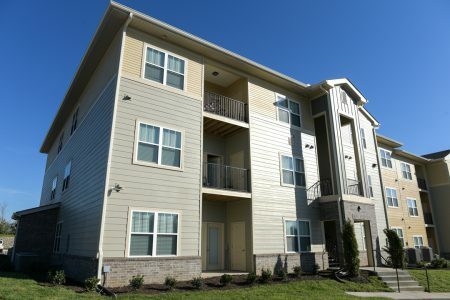 The Paddock at Grandview is located on a 14-acres site off West Trinity Lane. The property includes 10 three story energy efficient residential buildings, a clubhouse, swimming pool and other amenities and offers 1, 2 and 3 bedroom apartment homes. Sizes of the units span from 85- to 1,185 square feet and rents range from $704 to $971 a month. Units are reserved for families who earn up to 60 percent of the area median income, or $41,000 annual for a family of four. As of Nov. 5, The Paddock at Grandview is over 50 percent leased and almost 34 percent occupied. 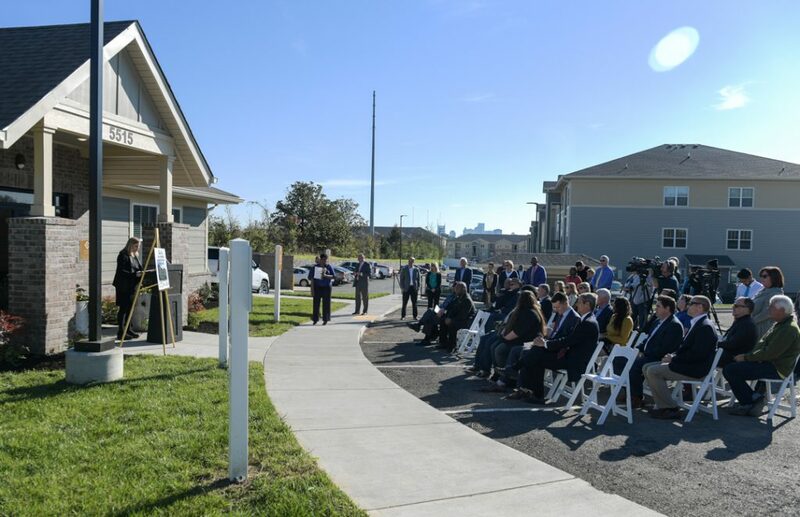 MDHA Executive Director Jim Harbison believes the brisk pace at which The Paddock at Grandview has been leased underscores the need to push for more affordable housing options. DeCosta Hasting, Councilman for the area and a strong advocate for affordable housing, agrees. “The benefits of affordable housing extend beyond the families and residents they serve,” said Hastings. “When we take steps—like ensuring all families have access to quality housing—to support and strengthen families we are also taking steps to strengthen Nashville and make it a place we can all be proud to call home. For more information on The Paddock at Grandview, click here.